Given certain ecologic and agronomic characteristics of conventional corn and soybean mono-cultures, cropping systems reliant solely on these two commodities inevitably lose soil and nutrients. Leaky cropping systems not only hamper society with negative externalities, but also erode the very natural resources needed to produce food and sustain civilization. The United States Department of Agriculture (USDA), state agriculture department staff, farmer organizations, agribusiness leaders, and conservation and environmental organizations now see cover crops as a solution to reduce the negative externalities of conventional row-crop agriculture. Farmers are asking for increased agronomic and economic research to help them understand the benefits of and implement the use of cover crops. Researchers for the most part are not keeping up with farmers' innovations on cover crops nor on providing the information sought by farmers. This article outlines the questions farmers are asking about cover crops and provides suggestions to agronomists, soil scientists, and researchers on research topics to best answer those questions. Additionally, social scientists must initiate a new round of research to understand the underlying concerns farmers have with cover crops and help to define the information (both content and source) that best informs and influences farmers. 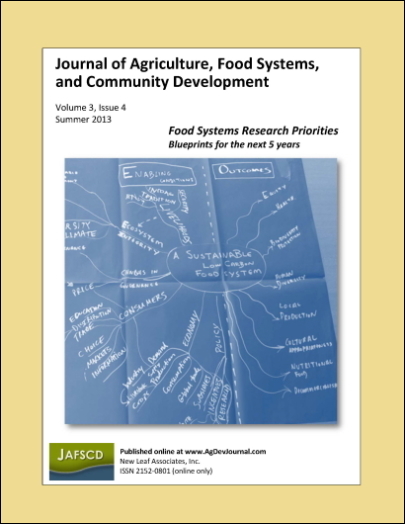 This article outlines specific issues and questions social scientists can research to contribute to the advancement of more sustainable farming practices and, in particular, cover crops. Agriculture Program Manager, National Wildlife Federation; N2761 Wren Drive; Medford, Wisconsin 54451 USA; +1-715-965-2538.